Ghosts still pause at this old long-abandoned church in Eastern Oregon. An original watercolor.. This quickie watercolor sketch gives the somber feel of the location and the moment. The original watercolor is now in a private collection but you can have your own print or poster here. 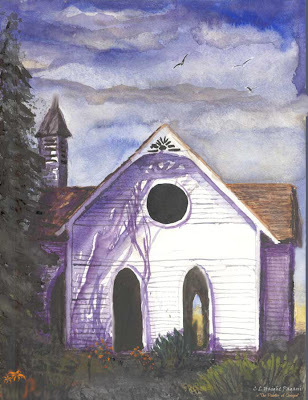 I'm reading: Abandoned Church (Watercolor)Tweet this!